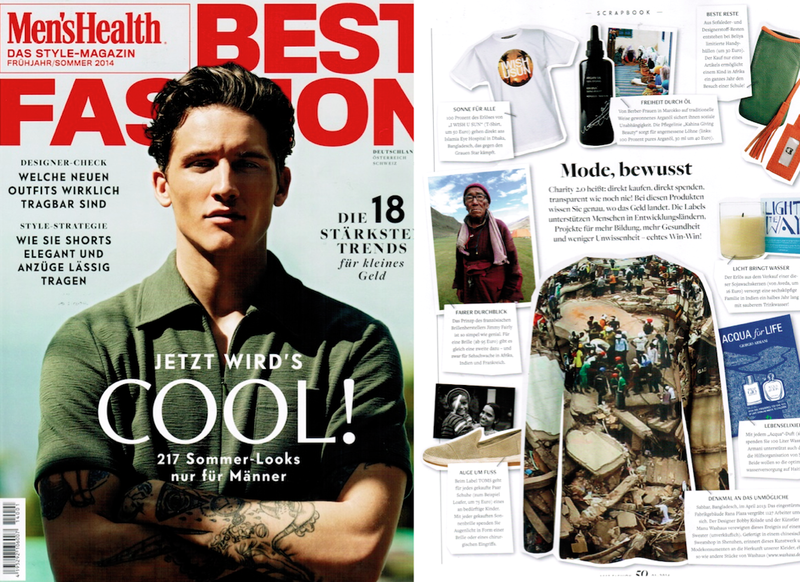 Men’s Health Germany featured our logo shirt in their current spring/summer issue. Thank you! Get your own T-shirt here & thereby finance a pair of glasses for a school child in Bangladesh through the “National Childhood Blindness Project (NCBP)” with ORBIS International.